It’s a SNOW DAY here in Vancouver! 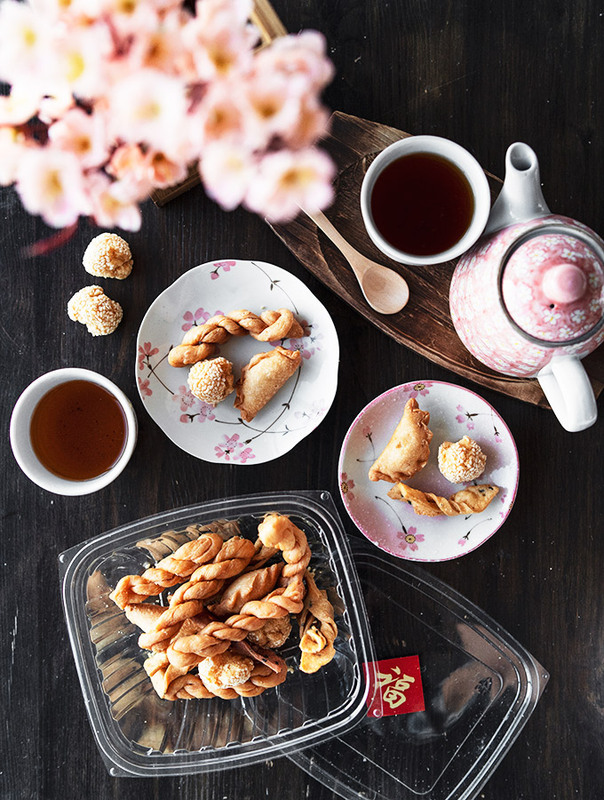 I’m staying cozy on this snowy day with a hot cup of tea and some Chinese New Year treats I picked up from the Aberdeen Centre Flower and Gift Fair. What’s your favourite treat? Yau Kwok 炸油角, Sweet Egg Twists 炸旦散, Fried Braid Dough 脆麻花, or Sesame Cookies 笑口棗? I love my Sesame cookies. Stay warm today!